Majorca (also “Mallorca”) is a popular island destination off the eastern coast of Spain. 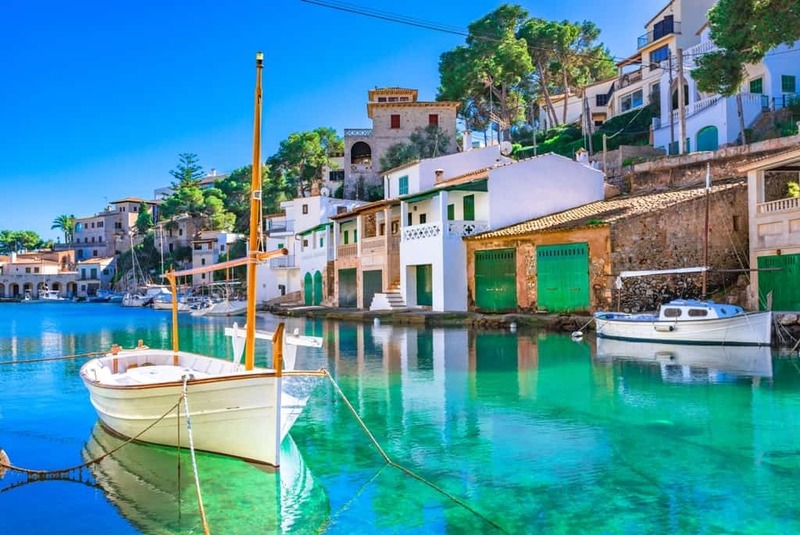 One of the Balearic Islands, it’s often called the jewel of the Mediterranean for its azure seas, white sand beaches, and charming towns. Majorca is the largest Balearic island, and its largest town of Palma de Mallorca is the archipelago’s capital. Little is known of Majorca’s early history, although there’s evidence of habitation in the Neolithic period (6000 – 4000 BCE). Remains of some of the talaiots, or stone towers, can be seen across the island. Later inhabitants, during the Phoenician and Roman era, established towns and colonies on Majorca. Arab Moorish invaders from North Africa conquered the island in the early 10th century. Until the mid-13th century, when the Spanish re-conquered the Balearic Islands, Majorca was under Moorish rule. The islands prospered under the Spanish, although Majorca suffered during the 1930s Spanish Civil War. Following the Second World War, the island grew as a tourism hot spot. Palma in particular thrived and today is the largest town in the islands. 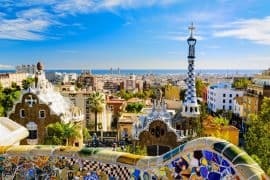 You might be interested in this one week Mallorca itinerary. 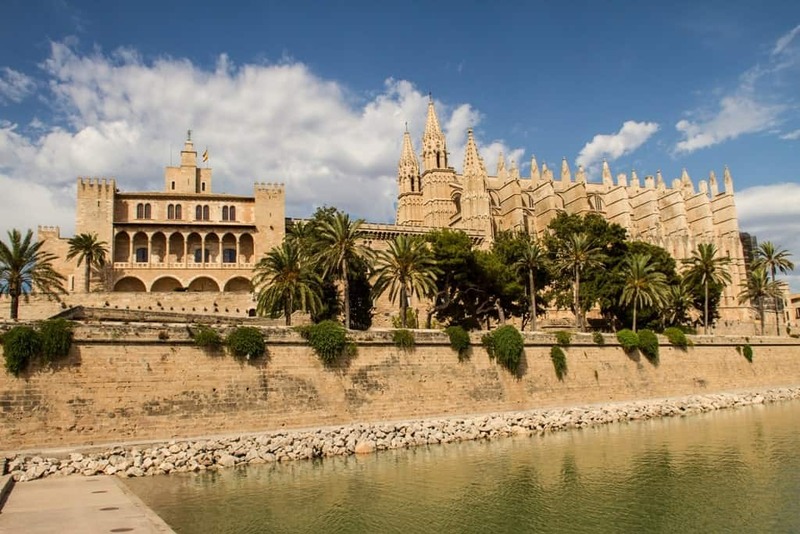 Palma de Mallorca, the islands capital, is a bright medieval town with plenty to see and do. It was founded by the Romans, sacked by Vandals, and finally reconquered by the Byzantines and then the Moors. Under James I of Aragon, Palma and the Balearic Islands became Spanish. 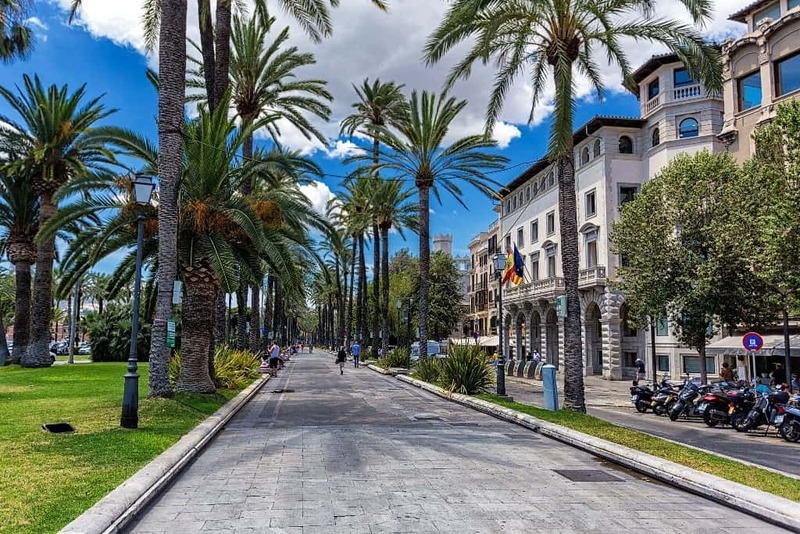 Palma has long been a port town and is popular with tourists who spend time here before heading on to Ibiza or Menorca. 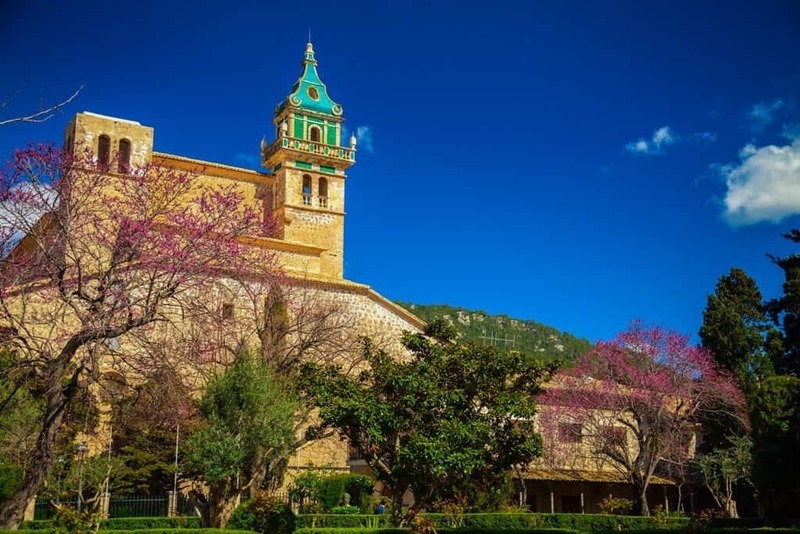 The original town centre is home to several small churches, the Gothic Cathedral of Majorca, the Alcazar (fortified Royal Palace), and narrow, winding streets worth exploring. With the growth in tourism, Palma has a plethora of luxury hotels, restaurants, cafes, bars, and shops. 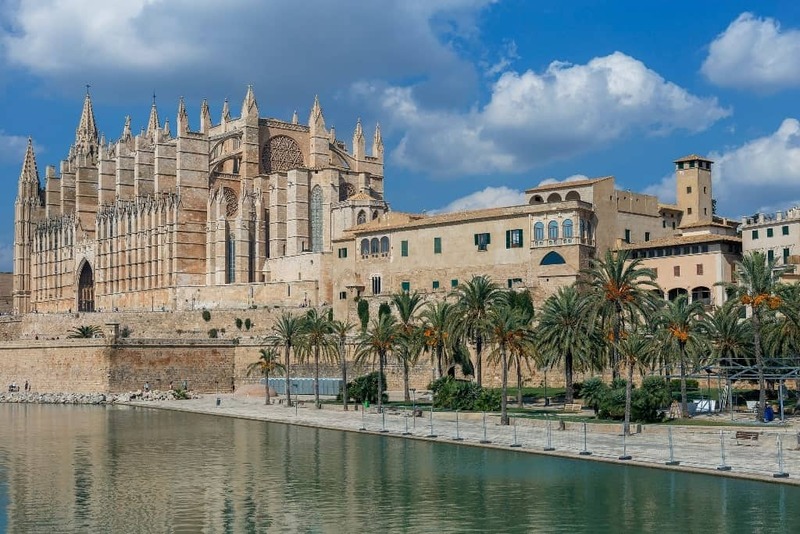 The Cathedral of Santa Maria of Palma, more commonly called La Seu, is an enormous Catalan Gothic cathedral located in the old city of Palma, adjacent to the Parc de la Mar and the Mediterranean. James I of Aragon began construction in 1229, but the cathedral was not completed until 1601. 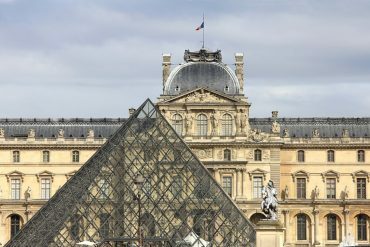 It has the second highest nave of all European Gothic cathedrals, standing at 44m tall. The road to Sa Calobra twists and winds its way 13 kilometres along the mountains into the bay at Sa Calobra. It is one of the most dangerous roads in Spain as it does not have any guardrails or lines in the centre of the road, however it is also an exciting road. It features plenty of hairpin turns, a 360 degree curve that winds around and under itself, and a 720m elevation gain. 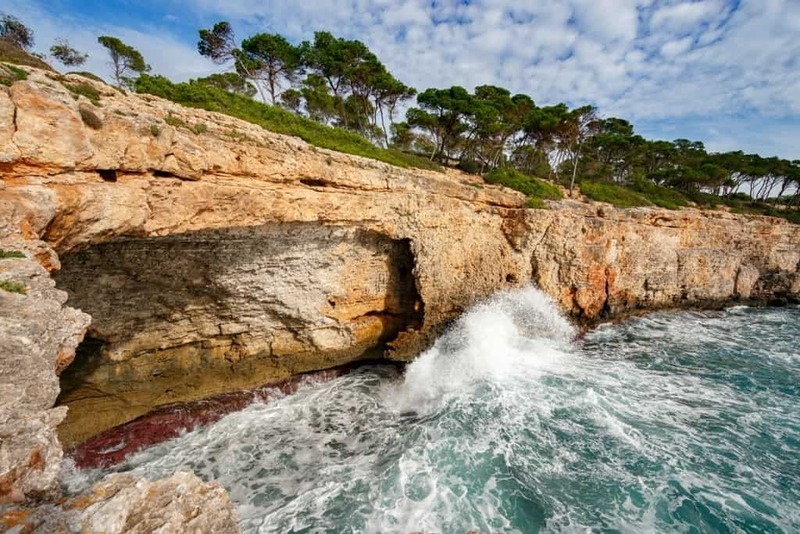 Palma has plenty of caves on both land and sea, two of the most popular are Coves del Drach and Coves dels Hams. 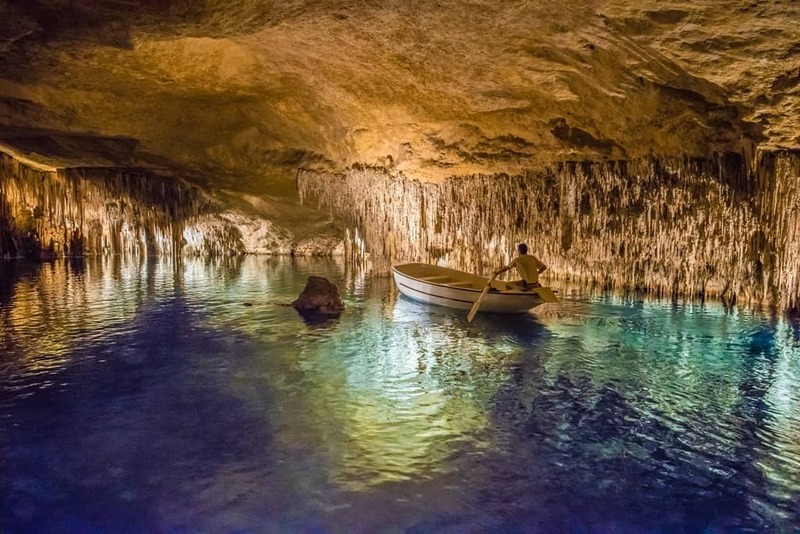 They are both located in the eastern region of the island near the town of Porto Cristo. Tours depart daily with several operators from Palma and Porto Cristo. 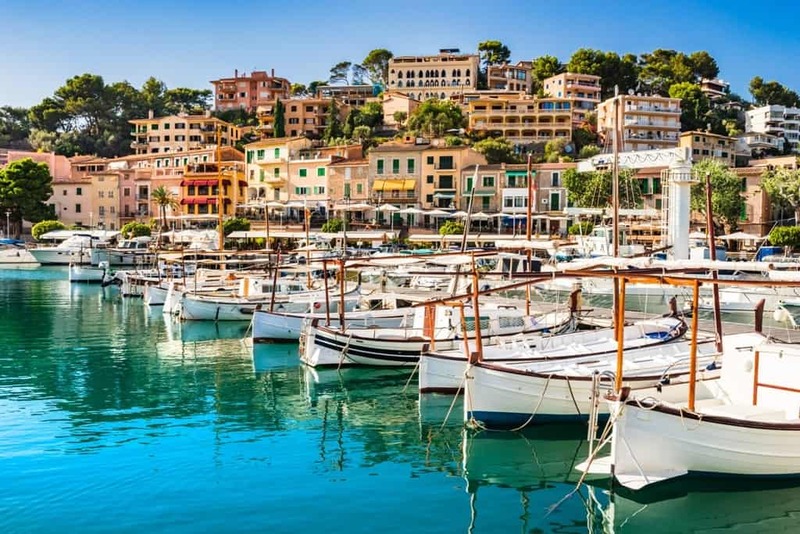 Port de Soller, a small town at the western edge of the Serra de Tramuntana mountains, on the far side of the island, was up until recently a hidden gem. The town was very hard to access, but with the opening of the new tunnel in 1990s, it has opened up tourism to the beach town. 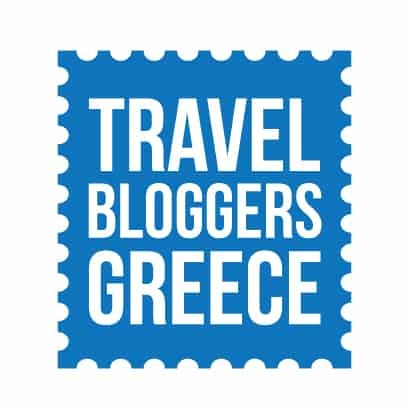 It’s a traditional fishing village with plenty of seafood restaurants, boutique shops, and local tavernas. There is a tram line that runs to Soller, an inland heritage town. The Palacio Real de La Almudaina is also known as the Alcazar, the Moorish fortified palace. It was built by the Muslim caliphates following the Arab conquest in the 11th century, but was rebuilt in 1309 by James II of Majorca. It was the royal palace of the Kingdom of Majorca until it passed to the Crown of Aragon under Peter IV in 1349. The palace, although converted to the Gothic by James II, retains Islamic elements and a very well-laid out courtyard (14th century) and garden (which was rebuilt in the 1960s). The Fundació Pilar i Joan Miró in Majorca is a museum dedicated to the work of Spanish artist Joan Miro. Miro’s wife, Pilar, and his mother were from Majorca, and the couple created the foundation in 1981. He used a nearby studio from the late 1950s until his death in 1983; it is now part of the museum. The collection includes over 6000 pieces from Miro, including sculpture, paintings, and a library. 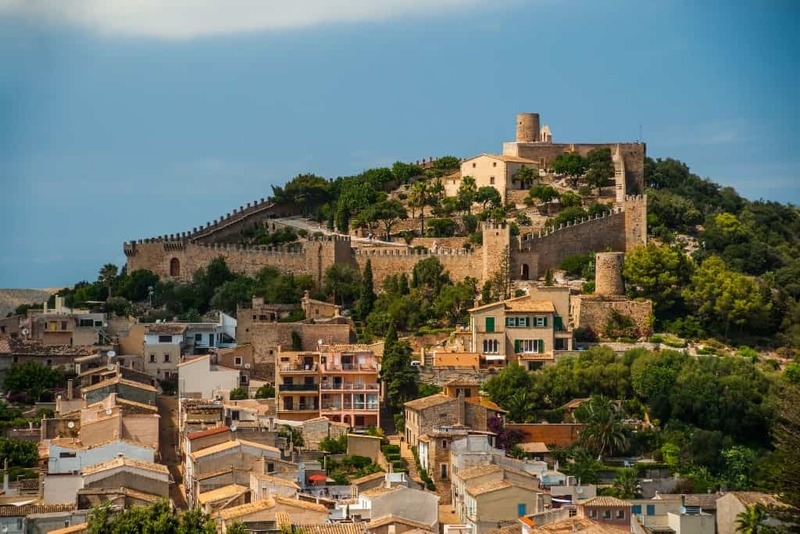 This huge 1300s castle on the edge of Palma, Majorca is one of the highlights of the island. It was once used as a royal residence before serving as a military prison in 18th Century. The fortification is well kept and is now used as a history museum. The castle is interesting thanks to its circular design, one of just a handful of castles like this in Europe. This is definitely a must for all travellers to Majorca! 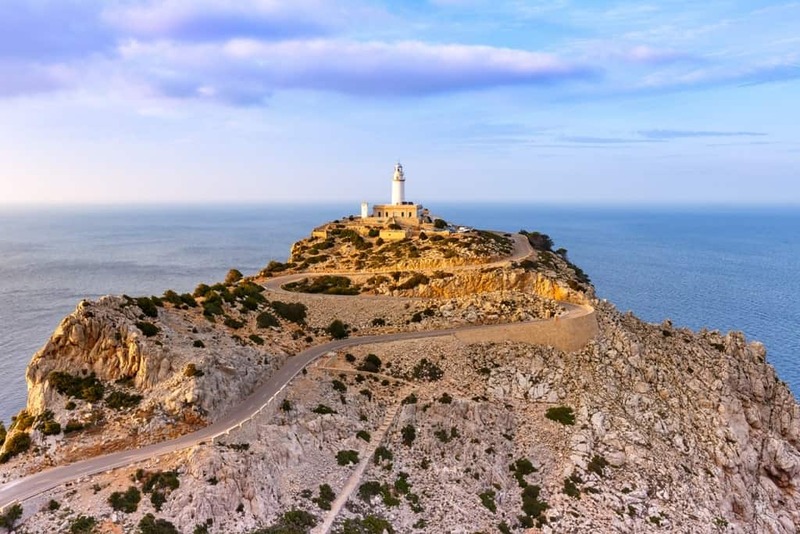 The Cap de Formentor (also known as the Formentor Lighthouse) is a stunning spot on the north of the island that is famed for its wonderful views across the surrounding bays. The lighthouse is perched on the cliffside at around 300m and is truly picture-perfect. Visitors can easily reach the lighthouse along the main road from Port de Pollença and it is well worth the trip. The Santuari de Lluc monastery in the north-west of the island is another work of architectural beauty and is a famous site of pilgrimage. While the outside of the building is relatively rustic, the gold-plated alter and intricate frescoes of the interior are a sight to behold! 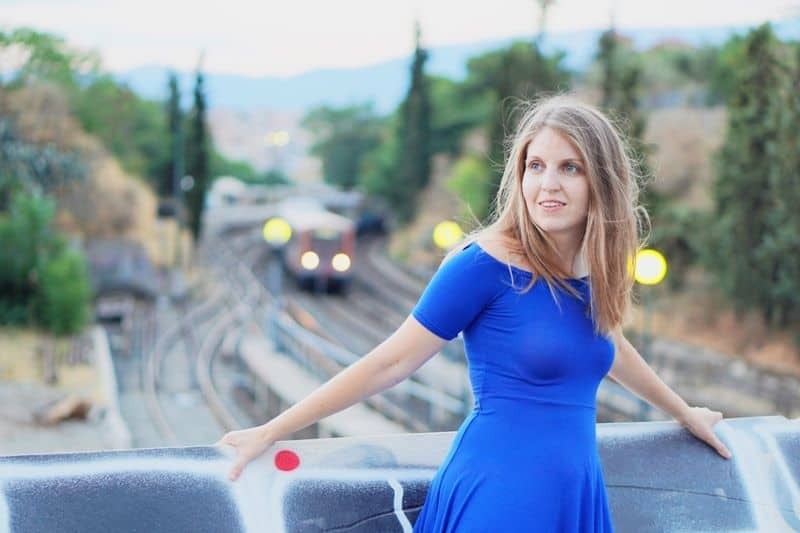 If you’re lucky you may catch a performance by the world-renowned Santuari choir, Els Blauets. You can even stay in one of the former monks’ cells for a unique overnight experience. Another site of importance on the island of Majorca is the Castle of Capdepera. This fortress has had a fairly tumultuous past with the Romans, Moors and Christians all taking control at various points in history. The castle also played an essential role in the surrender of Menorca, when King James I of Aragon ordered large fires to be set in the castle grounds (which could be seen on Menorca) in order to convince the Saracen Menorcans that an army had invaded and were set to encroach on Menorca too! 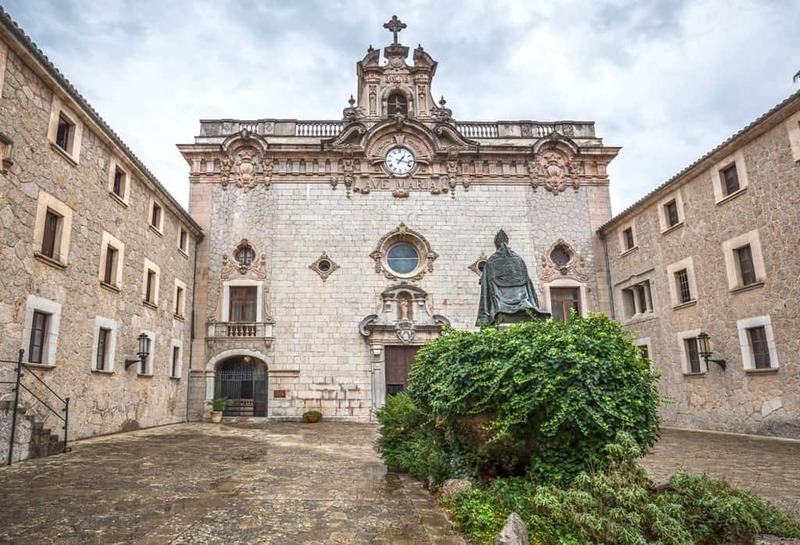 The Valldemossa Charterhouse (also known as The Royal Carthusian Monastery or the Royal Charterhouse of Jesus of Nazareth) is another former royal residence and monastery that is well worth a visit. Not only is the building beautiful but the surrounding vistas of the Serra de Tramuntana are epic too! The Charterhouse has a history of art and culture, with Chopin having spent a winter creating music here and a fine art museum on-site with works by the likes of Picasso and Miro. This secluded cove on the south east of the island is surrounded by rocky verdant cliffs that protect the bay from prevailing winds. This makes the sea and shores a tranquil space to while away a few hours during your trip. 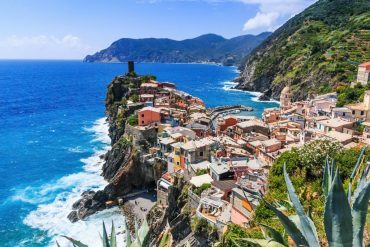 This quaint fishing village retains its small-town charm while still offering travellers a great range of restaurants and cafés from which to watch the world go by. Fishermen return regularly with the daily catch so you know you can expect the freshest seafood on every menu. 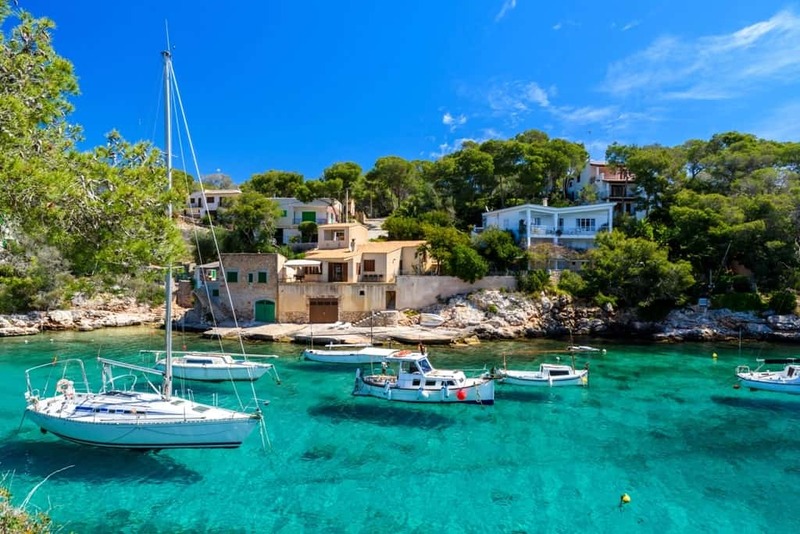 While Cala Figuera doesn’t actually have a beach of its own, the port waters may draw you in or you can head to Cala Santanyi just a short drive away. The coastal reserve of Mondragó Natural Park offers travellers one of the best days out on the island with wetlands, beaches, trails and cliffs to explore. Despite being a popular spot, Mondragó Natural Park is still peaceful and allows you to fully appreciate Majorca’s natural beauty. Mondragó Natural Park is ideal for walking in spring when the temperate climate allows you to walk the trails of varying distances and degrees of difficulty. The colours here are simply stunning with the lush green trees and the natural cliffs contrasting with the splendid azure waters! 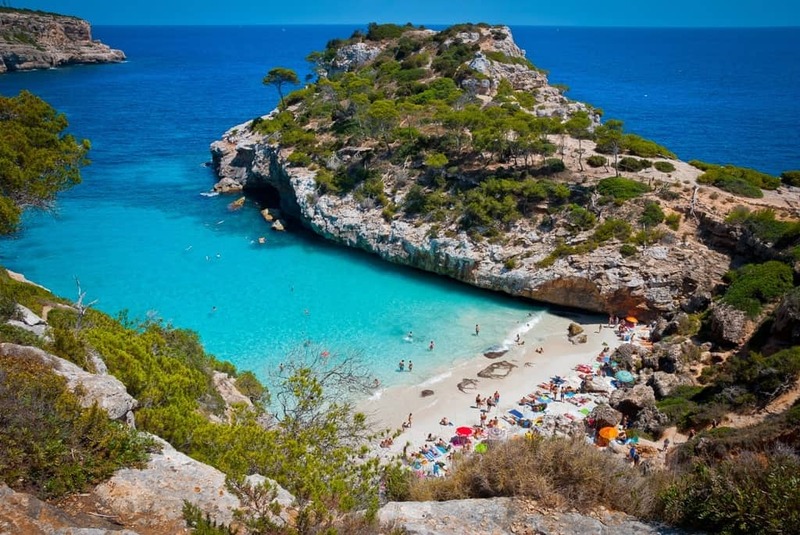 Another spectacular beach to visit during any trip to Majorca is Platja de Muro, this time in the north of Majorca. This sandy strip stretches around 6km, with patches of popular parasols and other quieter sections so you can find a spot to suit you. The Es Comu section is particularly striking, with rolling dunes and aromatic pine trees creating a beautiful backdrop. The majority of Platja de Muro is of Blue Flag standard so you know it will be clean and well-kept. Palma Aquarium is the perfect place for a fun family day out away from the sun. 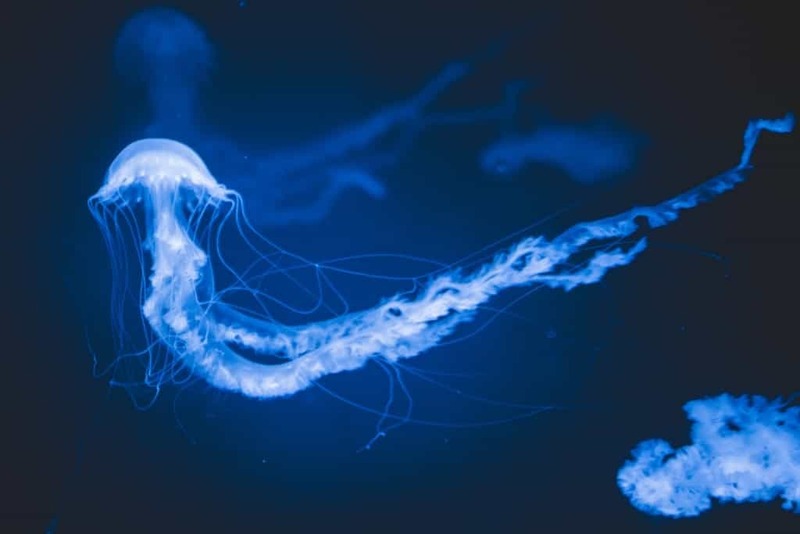 The aquarium is filled with an array of underwater creatures, from sea horses and starfish to rays, eels and octopuses. There are plenty of activities for both kids and adults to enjoy such as a touch pool, shark vision boat and and extensive outdoor playground. The aquarium is open every day so you’re sure to squeeze in a visit during your holiday. Another fun spot in Majorca is the Western Water Park located near Magaluf. This aquatic park offers exciting rides and slides to get your heart racing as well as a relaxing lazy river that you can float along when it all gets too much. The Beast is the highest park in the park (and 11th highest in the world!) and is a must for slide lovers! Queues can be long in high season but visits in May or September allow you to go round and round on the slides all day with very little waiting time. While Puig de Massanella is not the highest peak on the island, it is the most accessible and arguably the most breath-taking! 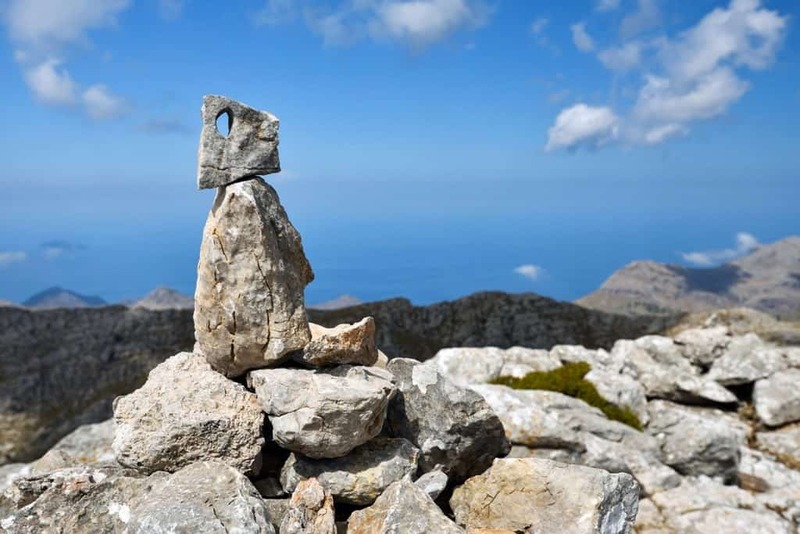 The mountain lies in the Serra de Tramuntana range on Majorca and is popular among hikers seeking a new route on the island. The peak is 1,364m high so is a fairly decent trek but the views across the island and out to sea are definitely worth it. The mountain is best hiked in spring or autumn so as to avoid the searing temperatures of summer! The islet of Sa Dragonera is a uninhabited natural park of the coast of Majorca that travellers can enjoy by boat, kayak or on foot. 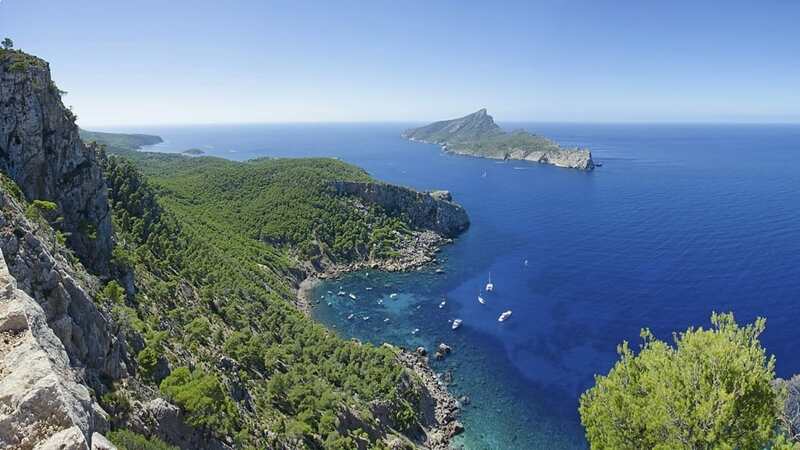 There are two arguments as to why the three small islands are called Dragonera, firstly that the spiky shape of the peaks on the islands look dragonesque, and secondly the there are numerous lagarto or lizards that roam around the islands. Whichever you prefer you’re still sure to enjoy a day trip exploring this stunning spot. Majorca is a fantastic year-round destination that offers something a little different in every season. 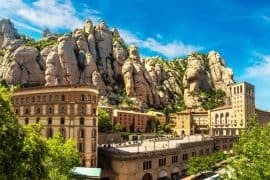 Firstly, you’ll need to decide what you hope to experience during your Majorca holiday and what temperature you can handle, and then you can choose when to visit. Spring in Majorca is a stunning season, with a temperate climate, lush landscapes and less crowds so you can enjoy the top spots in peace. This is the best time for hiking as you can witness the wildflowers covering the landscape and be able to choose longer walking trails without the worry of melting in the heat! Summer, of course, is the most popular time of year in Majorca and is the best for beach relaxation. Temperatures sit between the mid-twenties and early-thirties, and with around 12 hours of sunshine per day you can while away hours basking on the beach. 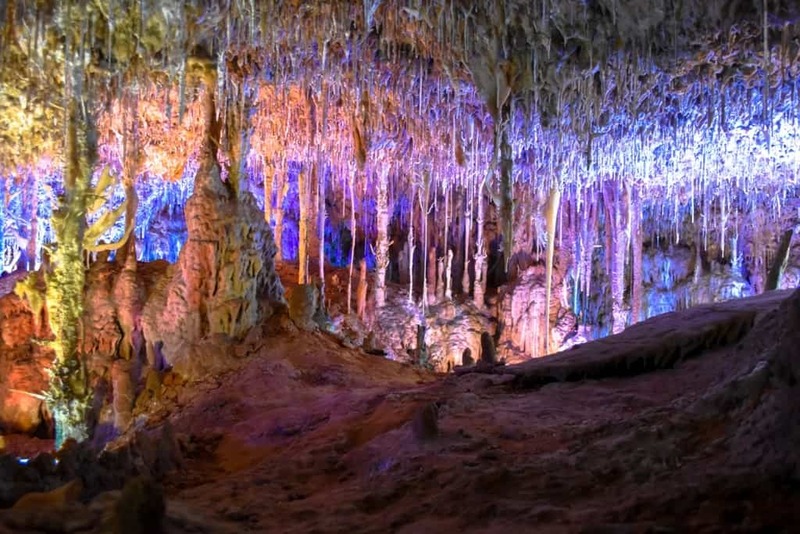 Summer does mean that the longer treks are off limits (unless you can really handle the heat) and the tourist attractions are busy, but if you have a family then Majorca is ideal for a summer holiday. For slightly cooler temperatures (but still early-twenties), you should visit Majorca in Autumn. The crowds begin to dwindle throughout September and October but the sea remains warm and welcoming! 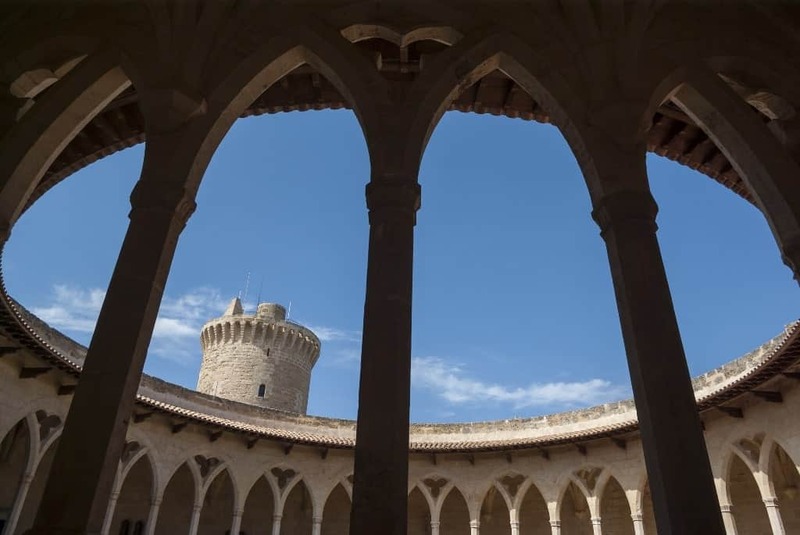 The Nit de l’Art event every September is a must for culture lovers, during which the museums and galleries of Palma open their doors for free. While Majorca isn’t a major winter sun destination in terms of balmy temperatures, is it still relatively warm and bright compared to much of Europe and North America. Temperatures sit in the mid-teens so it is a lovely time for a city break. Wander around the towns and cities, enjoy the café culture and take in the sights and attractions in relative peace and quiet. How to get Around Majorca depends on how much of the island you want to visit and how many of you are travelling together. If you’re going to be spending most of your time sitting on the same beach, you can probably just get away with just getting a bus or taxi to and from the airport. 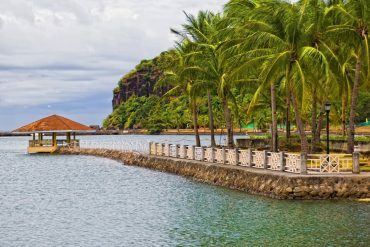 If you want to explore further however, you might want to think about renting a car or scooter or researching the bus service around the island. 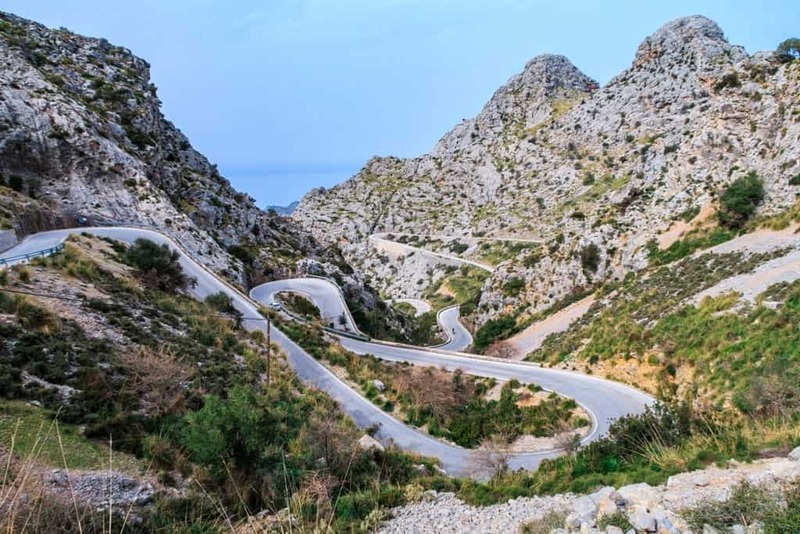 The roads in Majorca are in fairly good condition and you can easily rent a car for a few days or your whole trip from the airport or any resort town. Scooters are also great for shorter journeys (like beach hopping) but may be a tougher to ride on the longer mountain roads. Finally, buses and trains are great forms of public transport in Majorca as the systems serve almost all the towns and villages across the island. More information about the buses can be found here and rail schedules can be found here. 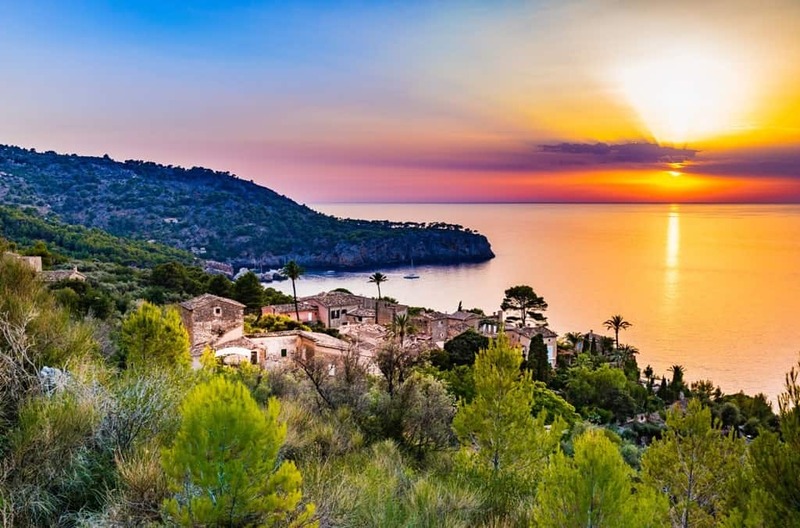 Visitors to Majorca can choose from small, boutique bed and breakfasts, mid-range three and four star hotels, and stunning four and five star luxury hotels. The Iberostar brand, a luxury Spanish hotel brand, has fifteen different four and five star luxury hotels in Majorca, with five in Playa de Muro and three in Palma. The remaining hotels are scattered around the island at various beaches. All of the hotels are set into the landscape with extensive pools and gardens, chic lounge areas, vibrant bars and restaurants, and casual dining options. Many lie along kilometres of white sand, perfect for strolling at sunset or sunrise. You can find more information at Iberostar.com. This adults-only hotel is located on the east side of the island. It is a great base to explore the nearby Punta de n’Amer nature park and fortress. This adults-only hotel near the village of Calvia is a great place to relax and enjoy traditional spa services or a round of golf. Pinos Park is a family-friendly hotel complete with a waterpark, adventure outings, and children’s clubs. Parents can hang out on the adjacent beach knowing that their children are being cared for 100% by knowledgeable and dedicated staff. There are five Iberostar hotels in Playa del Muro. All are family-friendly, although two have Star Prestige benefits for adults (rooftop terrace and open bar). Some offer bicycle hire, others have exceptional spas, and all are perfect for relaxing in the sun by the pool. All three of the Playa de Palma properties are all-inclusive, which is perfect for travellers seeking luxury with the knowledge that everything is taken care of. All three are also recently renovated, have gorgeous pools, and offer dining and drinking establishments. One is family friendly, one is adult only, and the third offers Star Prestige benefits for adults. This adults-only property on Majorca’s southern coast is brand new. Head here for lush beaches, sparkling seas, and complete relaxation away from the bustle of town. Club Cala Barca is an unlimited service, family-friendly hotel on the southeastern coast of Majorca. It has eight swimming pools as well as beach access, and is adjacent to Mondrago Natural Park, where you can explore hiking trails and pine groves as well as hidden beaches. 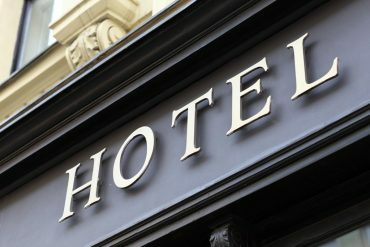 The property here includes both hotel rooms and apartments. 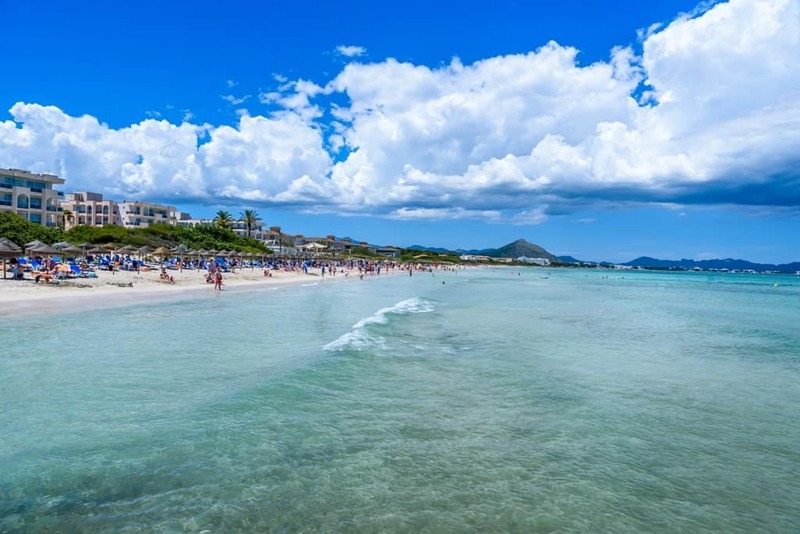 Bahia de Alcudia is on Majorca’s northern coast. Ciudad Blanca is family friendly and all-inclusive, ideal for travellers seeking a family vacation for a great price. 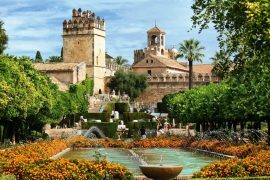 Majorca is super easy to get to from gateways across Europe, and it’s a wonderful family vacation destination. 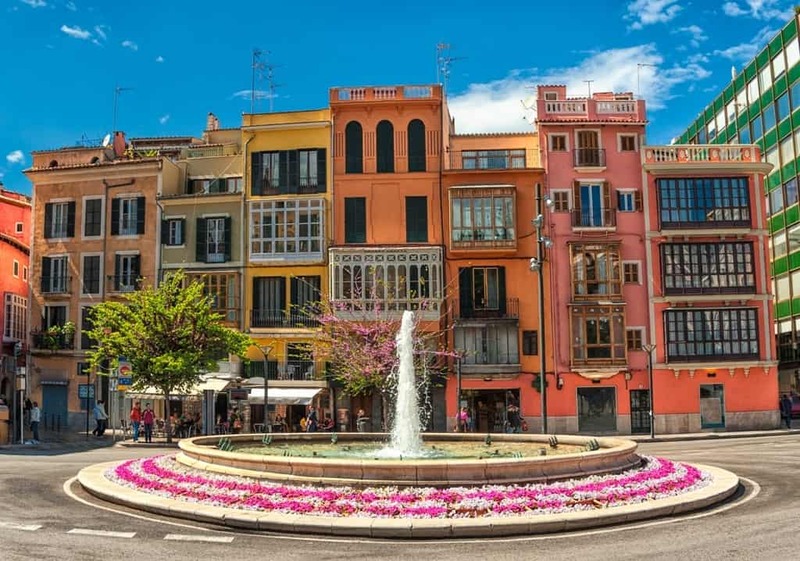 There is plenty to do in Palma, the largest town, as well as around the island. Stay at one of these fantastic Iberostar properties for a comfortable, luxurious experience in the Spanish Balearic Islands. 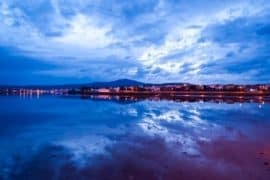 You have done good work on this post which is nice to see it keep doing well…and you have mentioned great photographs of the best-visiting place in Majorca and I have seen your post for Our Trip to Majorca which is nice to see it.